Hello Friends, Boy do we have a fun and easy ” Topping” for you this time over at Seize the Birthday! The topping for this challenge is to use Washi Tape on your card and or project! Don’t you wish you were the brains behind this amazing product? Okay, let me show you how I incorporated my Washi tape into my card. The first thing I did was adhere my tape onto some coordinating card stock. 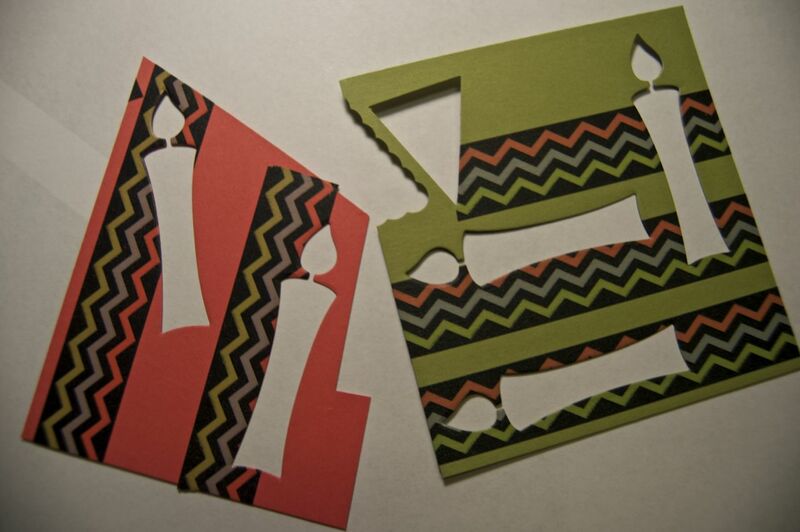 Then I got out my super cool candle die cuts from Elizabeth Craft Designs and I cut them out in interesting ways. I wanted to make the candles very hip, different, and eye catching. So as you can see by the photos that is what I did, by placing the dies in different spots on the tape. The sentiment Happy on my card is from Verve and the word Birthday is from Close to My Heart. The paper is a mixture of old Creative Memories dp and Stampin Up. I also am linking this card up with the sketch over at The Challenge blog. 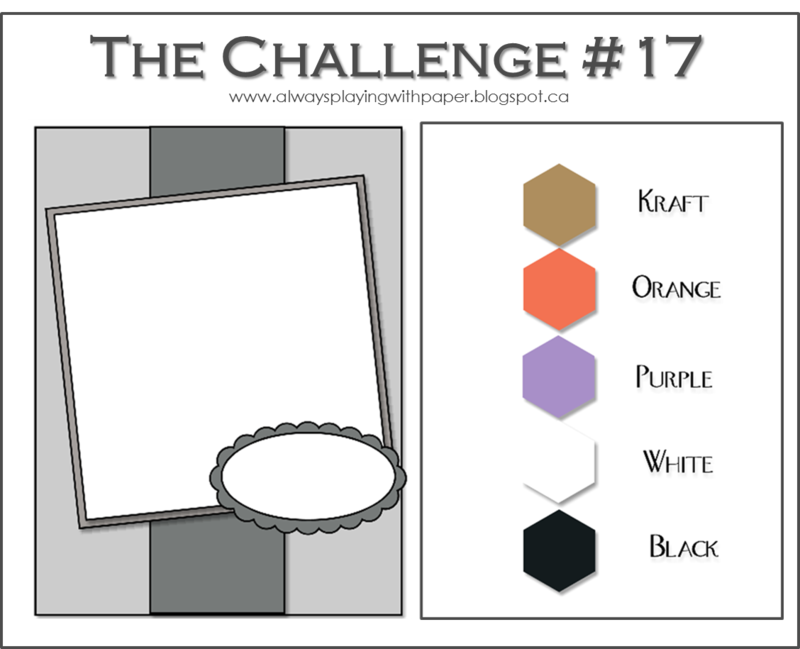 You can do the sketch and or the color challenge…the choice is yours. I chose just to do the sketch this time around. That wraps it up for me for today…please come on over to Seize the Birthday and join us! You should see what my talented teammates did with their washi tape! Categories: Cards | Tags: Card making, Cards, Close to My Heart, Happy Birthday, rubber stamps, sketch challenge, stamping, Verve Stamps | Permalink. Awesome card…you are so clever! Great idea and thanks for showing the visual!! What a fun and cool idea for a birthday card. I really like this so much! SUPER cool FUN birthday card idea!!! WOW, FUN colors and FRESH take on the sketch, WONDERFUL!! Thanks for joining us at the Challenge!!! Yay! Wow, this is just amazing! Love those candles! Great take on our sketch. Thanks for sharing it at The Challenge! This is amazing, Nancy! 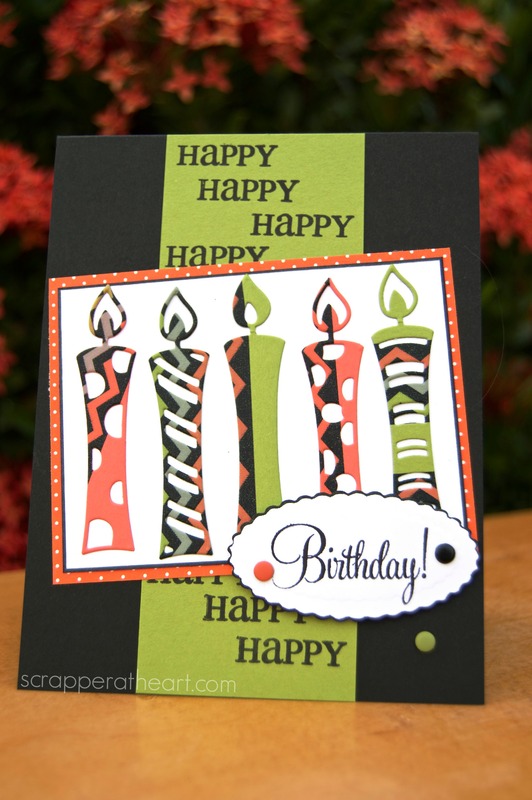 Love the funky candles and the fun papers you used!!! What a fun card! I love your hip candles and the great colors! What a fun card Nancy, I love your colourful candles. Brilliant way to add a little washi without buying lots of pattern paper! I love this! Fabulous card! I love the way you created the candles with decorative tape! Thank you for playing along with The Challenge!